What you should know before coming to Shoreline. “From Peril to Hope: Migration and Refugees” – NIEA Fall Workshop at Shoreline Community College! Every year, NIEA (Northwest International Education Association) sponsors a one-day conference for college faculty and staff to learn about current global issues and world events. The theme of the conference builds on the Community College Master Teacher Institute organized by the Center for Global Studies of UW Jackson School of International Studies. This year, the fall workshop theme is “From Peril to Hope: Migration and Refugees”. It will be held at Shoreline Community College on October 23rd, 2015. Develop a deepened understanding of human migration, refugee and immigration issues. Learn innovate approaches for integrating above themes into curricula and campus. Hear reports from the 2015 Community College Master Teaching Institute. Learn how faculty in different fields are utilizing NIEA mini grants to internationalize curriculum, and how you can apply for a mini-grant to infuse global perspectives into your courses. 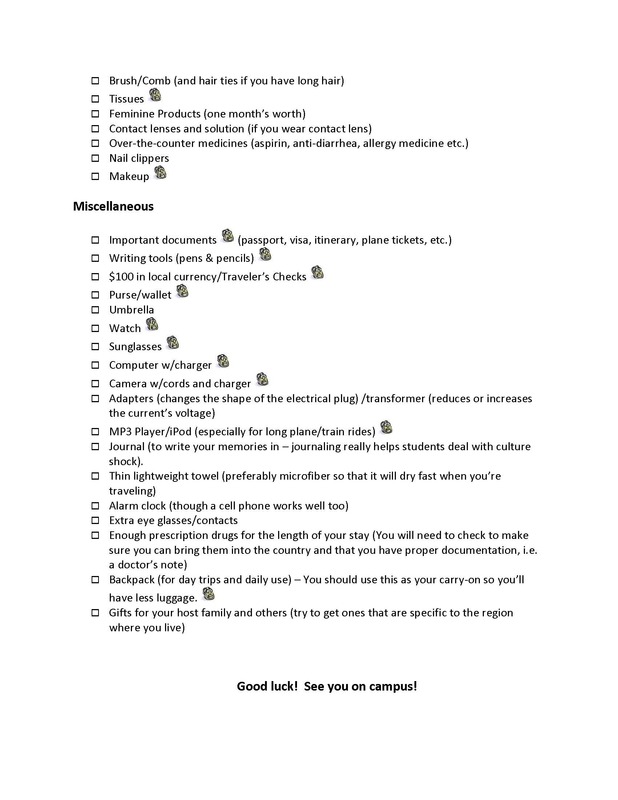 Explore options for studying abroad, related experiences, and best practices. Engage in lively discussions with colleagues from diverse disciplines across Washington state, and share innovative approaches to incorporate above themes into curricula and campus. Dr. David Fenner, Affiliate Faculty at the Jackson School of International Studies. At a time of unprecedented mass migration from the countries of the Middle East, Africa and Eastern Europe – and the expanding humanitarian crisis as desperate migrants seek any means possible to reach Western Europe, we shall explore the historical, political and economic roots of human migration in general and these unfolding human events in particular. In addition, participants will learn about a number of web-based tools designed specifically with student research projects in mind. What’s Old is New Again: The Recurring and Elusive History of Washington as An Immigrant Border State. Session Presenter: Valerie F. Hunt. faculty member in the bachelor’s degree program of Applied Behavioral Science at Seattle Central College. In order to teach and develop curricula about immigrant and refugee issues, it is important to understand some of the structural, historical, political, and social contexts of immigration in general, and Washington State in particular. In this workshop, participants will examine Washington’s history as a border state and what it means to be a border state, especially compared to other U.S. border states. We will also review key dimensions of immigration—labor market forces, state/society relationships, human and civil rights—and how these dimensions inform our perceptions and practices about issues such illegal immigration, “anchor babies,” job and education funding competition between native-born and immigrant workers, and national identity. The workshop will provide participants with leading-edge, state-of-the-discipline concepts, themes, and language to use when developing their own immigration-focused curricula. 2015 Community College Master Teaching Institute on Immigration and Refugees: Content and teaching applications. Immigrants, refugees and undocumented students: Highlighting experiences and diversity on campus, in the classroom, and community. Integrating Global Perspectives into Teaching through NIEA mini grants. The Workshop is especially significant in light of current conditions, and is sponsored by Northwest International Education Association (NIEA) and Center for Global Studies at University of Washington. Registration is via the NIEA website www.nieawa.org, then send payment to Heather F. Lukashin as indicated on the form. 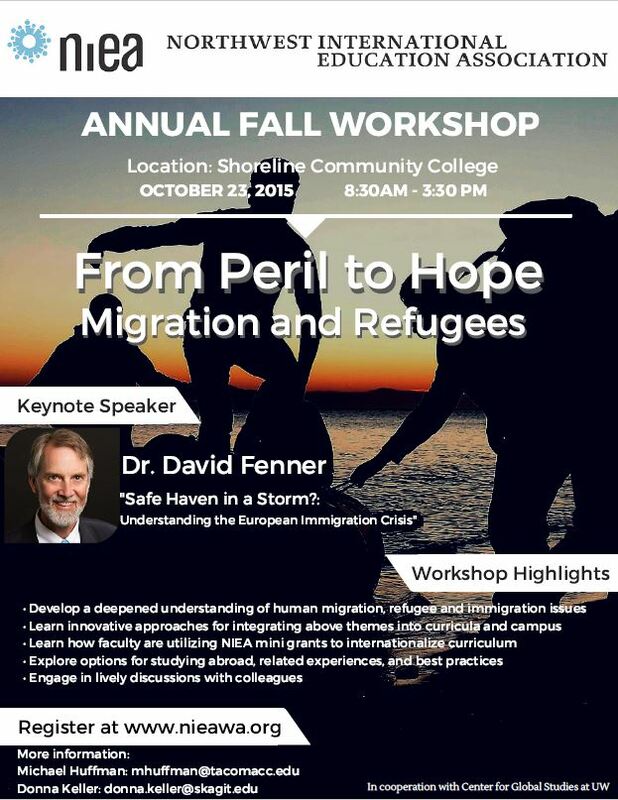 1 Comment “From Peril to Hope: Migration and Refugees” – NIEA Fall Workshop at Shoreline Community College! As a student at Shoreline, you are provided with an email from our school. 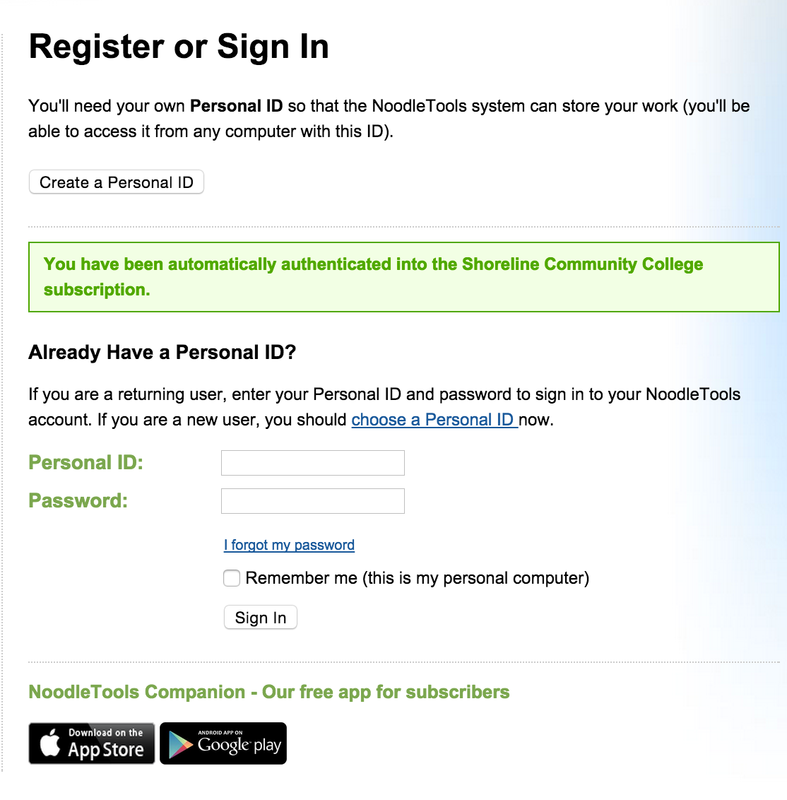 Besides sending and receiving emails to or from your teachers, do you know that your Shoreline email is more helpful than you think? Your Shoreline email is a type of email. Therefore, it can be logged in through gmail.com and it comes with all functions of Google apps such as Google Docs, Google Drive, Google Photos and etc. With your go.shoreline.edu email, you are given unlimited storage on Google Drive without having to pay any fees. Therefore, you can take advantage of this function to store your important documents or large files here as they will stay there safely. For more information, please visit drive.google.com. Starting November 12, the United States and the People’s Republic of China will reciprocally increase the validity of short-term business and tourist visas and student and exchange visas issued to each other’s citizens. Chinese applicants who qualify for a B-category nonimmigrant visa (NIV) may now be issued multiple-entry visas for up to 10 years for business and tourist travel. Qualified Chinese students and exchange visitors and their dependents who qualify for F, M, or J-category visas are now eligible for multiple-entry visas valid for up to five years or the length of their program. U.S. citizens eligible for Chinese short term business and tourist visas should also receive multiple-entry visas valid for up to 10 years, while qualified U.S. students may receive student residency permits valid up to five years, depending on the length of their educational program. – The reciprocal extension of visa validity to 10 years for short-term business and tourist travel between China and the United States will increase travel and exchanges, enhance mutual understanding between our countries, and benefit our economies by increasing the ease of trade and investment. Ten years is the longest visa validity possible under U.S. law. – This new arrangement will be more convenient and less costly for travelers. Prior to this, Chinese and American business travelers and tourists had to apply annually if visiting the United States or China each year. – Until now, many Chinese students who left the United States for short visits abroad were required to apply for new visas. Under the new arrangement, Chinese students will find it easier and more convenient to return home because in many cases they will not be required to obtain new visas prior to returning to the United States to study. – The arrangement underscores the U.S. commitment to promote bilateral tourism and trade and increase opportunities for people-to-people engagement. – More NIVs are processed in China than in any other country; applications processed in China represent more than 14 percent of all NIV applications worldwide. More than 1.95 million NIV applications were processed for Chinese nationals in fiscal year 2014. – The vast majority of foreign investment activities in the United States can be performed on a standard business/tourist (B1/B2) visa. – Chinese nationals comprise the largest group of foreign students in the United States. – Mission China processed more than 316,000 student and exchange visitor visa applications in FY2014, a 12 percent increase over the previous fiscal year. – Student visas issued to Chinese nationals accounted for 16 percent of all types of U.S. visas issued in China. Student and exchange visitor visas issued to Chinese applicants represent 30 percent of all such visas issued worldwide. – Changes in visa validity will not affect visa eligibility criteria, and the basic visa processing fee remains unchanged at the current rate of 160 USD. 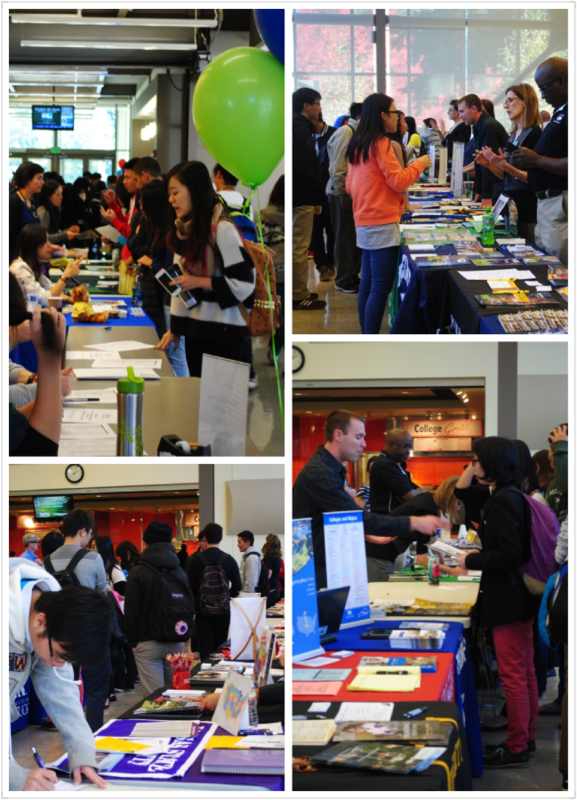 The Involvement Fair happened Wednesday January 22nd. 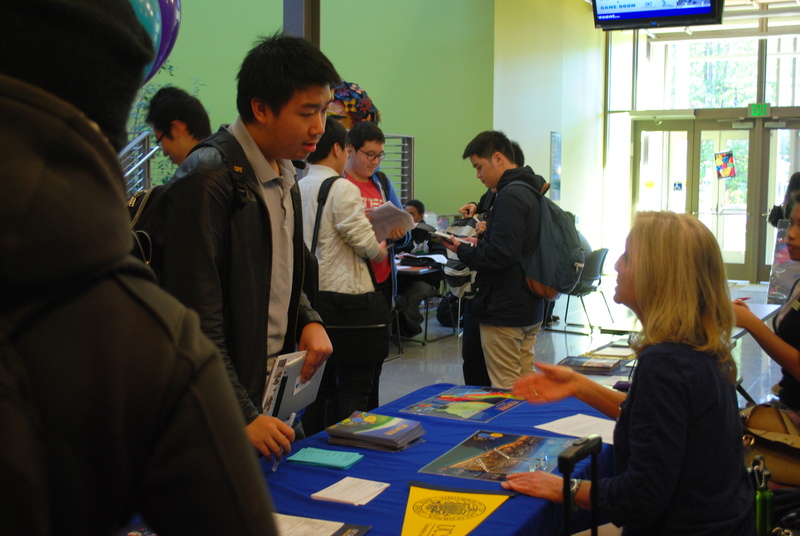 This is a large fair where clubs and organizations set up a booth in the Main Dining Room to provide information and promote. Students can come, learn about ways to get involved on campus and sign up to join. 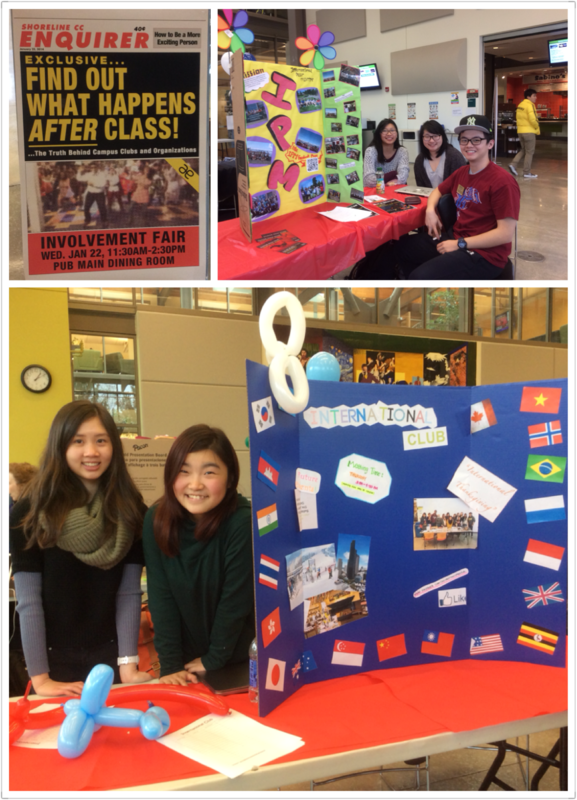 Over 15 different clubs and organizations participated in this event organized by the Arts & Entertainment Board. ISOP (International Student Orientation Program) is next Monday, December 30th! ISOP is a week-long orientation that is vital for student success, where students prepare to start classes by taking placement tests, meeting with advisors, registering for classes, meeting friends and more. For information about ISOP, visit the website. 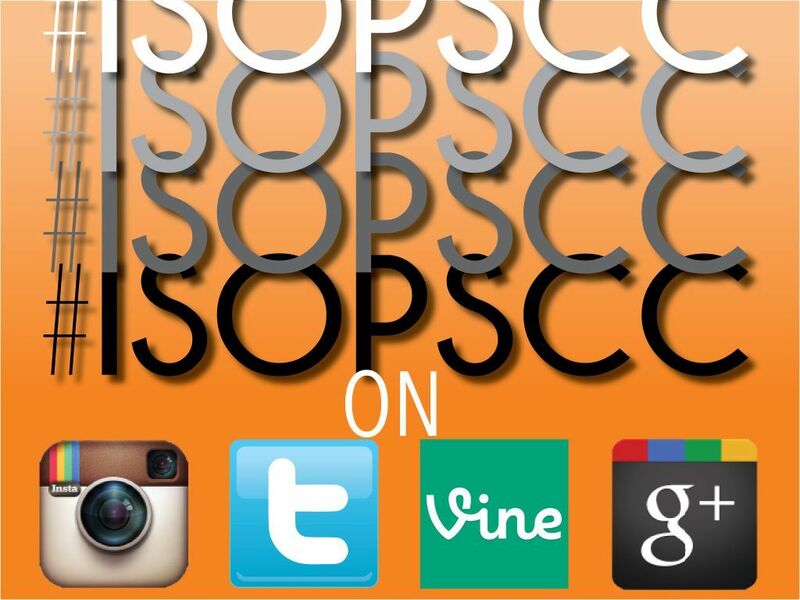 Visit the #ISOPSCC Tagboard for live status updates on preparations for ISOP and during the actual event. You can interact and communicate with us by inserting the hashtag #ISOPSCC on your posts through twitter, Instagram, vine and other social media platforms. 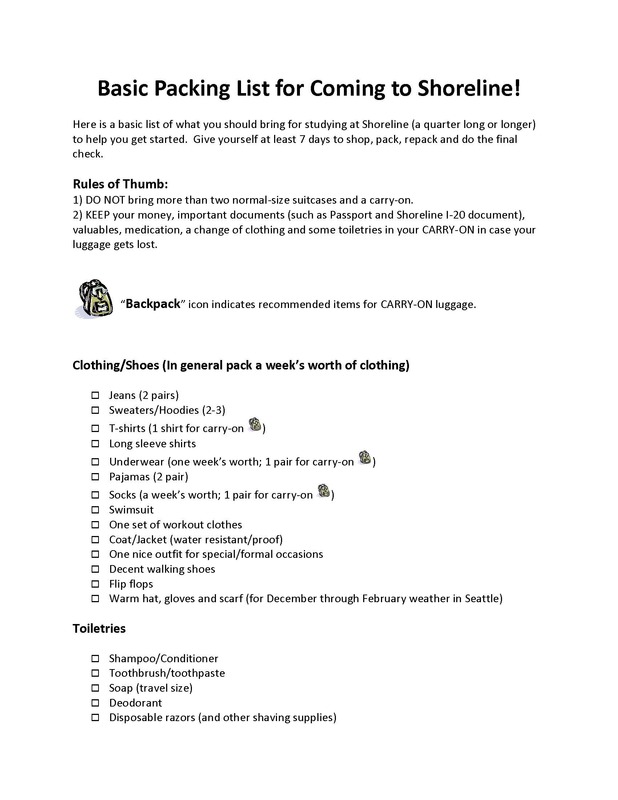 Leave a comment Basic Packing List for Coming to Shoreline!